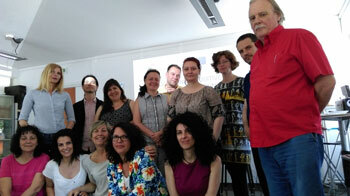 On Oct. 19, 2017 a training seminar under the Civil Society Empowerment Program (CSEP) took place in Sofia. The purpose of this program is to support and empower civil society organisations to become more active in the online domain. Being a part of the Coalition of Positive Messengers to Counter Online Hate Speech project, funded by Rights, Equality and Citizenship/Justice Programme of the EU, the Municipality of Agii Anargiri – Kamareto (Greece) organized trainings between 2nd and 4th of October 2017. On Wednesday 27th September, 2017 and Thursday 28th September, 2017 from 9.00 am to 6.00 pm, at Sangallo Hotel in Perugia, FORMA.Azione srl organized two different editions of the Positive Messengers training course, aimed at reinforcing the competences of the key actors of the civil society, for a great effectiveness in counter hate on line, particularly towards migrants and refugees. 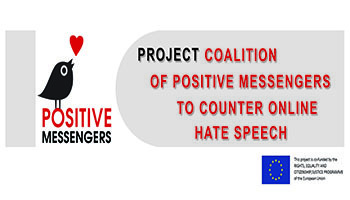 In the context of the "Coalition of Positive Messengers to Counter Online Hate Speech" project all of the organizations and institutions involved developed reports in which good practices were included. 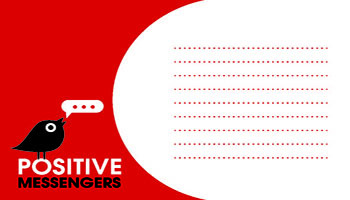 The goal is to give you useful ideas on how you, your community or organization can create initiatives to counter online hate speech and spread messages of positivity and tolerance. How big Internet platforms fight against online hate speech and how can you join? Online hate speech has been a problem for Internet platforms, creators and users for some time. Regulations have been ineffective and restrictions have been slow. What does “hate speech” mean and why is it so important to know how to end it? In 1997 the Council of Europe defines hate speech as “all forms of expressions that spread, incite, promote or justify racial hatred, xenophobia, anti-Semitism or other forms of hatred based on intolerance”. 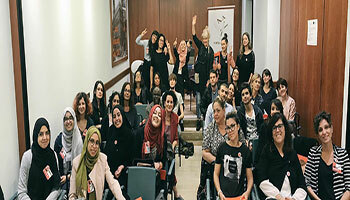 The second partnership meeting under the Coalition of Positive Messengers took place in Perugia, Italy on 6-8 June and was hosted by our partner Forma.Azione. 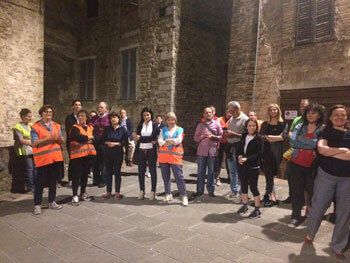 During the Coalition of Positive Messengers project meeting in Perugia, Italy, the host oraganisation Forma.Azione initiated a joint Multicultural Walk Based Learning with the “Piedibus del Benessere”.